Whether the target is Global-War, Monsanto, the Water-Wars, Big Pharma, Huge Agriculture, Education, the Arts, Obamacare, the Media, Entertainment or any of the thousands of fraudulent government programs: Since the beginning of the Vietnam War there has been a relentless climb among the investing-class inside Amerika which remains completely unnoticed or investigated. The reason all this gets deified into “LAW” is because of who benefits from the criminality ­ nothing else has ever mattered. That’s why this government can never do anything except serve our would-be owners, while giving everyone of us the shaft! That’s in all the wars we’ve fought in since WWII. This mindset has created the global-criminality that is beginning to meet its own end in the crimes of the global-bankers in the Eurozone & the Federal Reserve that are hell-bent on ending everything successful in the world of yesterday. Any serious person who does their own research will quickly discover the obscenities that were unleashed when the USI opened Pandora’s Box. If you doubt this then just have a look at some of the most common varieties. “INSURANCE” This industry ought to be erased from the lexicon of business as it has become the total-extortion of money. Policy-holders are not compensated for what they pay into Insurance companies to receive—the whole enterprise is nothing but a racket, just like WAR! Ask anyone that had an insurance policy during Hurricane Andrew, or Katrina, or anyone caught up in the Firestorms in Southern California, and more recently the freak-storms in New England, who are still without food or electricity in New York. FEMA should have been sued out of the universe! 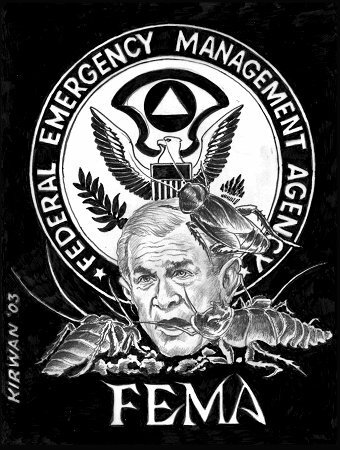 Yet nothing to date has been done to those anti-American bastards who call themselves FEMA. What the hell happened to all those millions of useless “LAWYERS”? Every one who passed ‘the Bar” is supposedly an officer of the courts, and is responsible to act upon any crimes he or she is aware of ­ HA! Probably the same thing happened to lawyers as happened to all those people that were not going to let any of what has happened to us already ­ happen? Health-Care is a combination of extortion and denial of services, at astronomical fees given out by lay-people with no education that should never have been created. If Americans want health care then they should have DEMANDED the same service as the congress gets for free. Obamacare is potentially one of the greatest crimes ever perpetrated against the citizens of any country. Yet Amerikans have failed to question any part of this monument to communism, fascism and outright slavery. BANKS are just becoming visible to so many who thought they actually existed as a place to keep their money—only to finally begin to see that the banks are just another pawn in the Global-Order of financial-torture and global-theft as the prequel to the mass murder of the bulk of the people on the planet. Justice? The cops the judges, prosecutors, virtually everyone involved all the way down to the Correctional Corporation of America (CCA) - the jails and the prisoner-slave-force who work for pennies a day, in a program that requires that the prisons remain at 97% capacity because that’s how CCA makes its private-fortunes. There is not and has not been any Justice in the American Just-is SYSTEM for decades! The public and the society get screwed and the evidence of this is everywhere, if only the public would investigate for themselves. The same kind of overview is available for every single government program—if only the public cared to know. We haven’t because too many have been too busy stealing whatever they can by using the existing system for every possible rip-off that it is there to steal—so of course people don’t want to KNOW what’s going on! Which goes hand in glove with BLOOD-MONEY! Everyone that has in theory taken full advantage of the criminal-nature of the USI will be exterminated along with the victims that did not profit, as they have. This is true of the mercenary thugs in the police, the government, and throughout the society—because global-traitors don’t share anything with the lowly “others” who are not part of the “SPECIAL-PEOPLE” who are the only creatures who shall be allowed to live in the new-world. The proverbial “CLOCK” is out of time. So if you want to stop this, then just do it - Damnit!